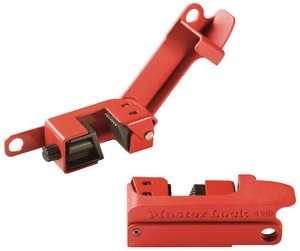 Installs quickly and easily without the need for any tools. 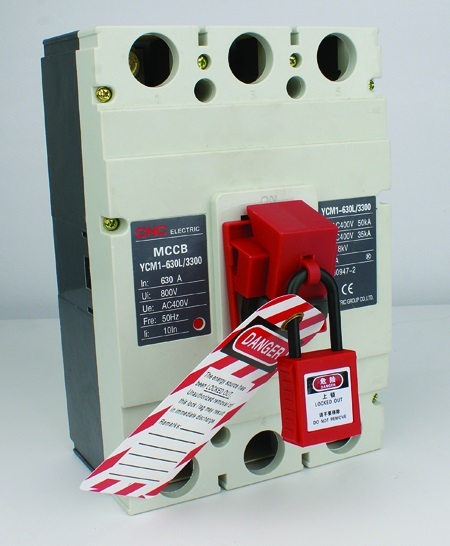 Featuring a compact universal design that fits a wide variety of single, double and triple pole handle circuit breakers. 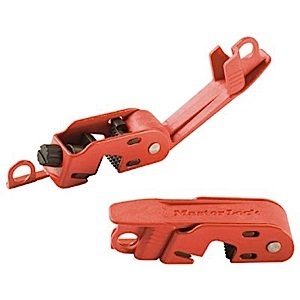 Made from rugged polypropylene PP and impact modified PA. Use thumbscrew to clamp lockout securely onto switch tongue, then pull cover and lock in place to prevent clamp from being loosened. New blade design provides tighter grip with less torque on thumb screw. 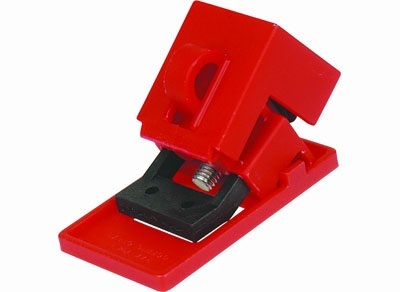 Detachable cleats expand the range of applicable breakers. 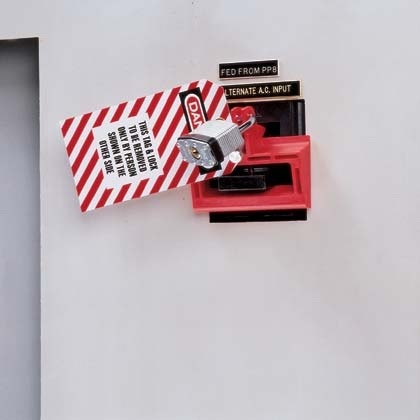 The lockouts can take padlocks with a shackle diameter up to 7mm. Works with a simple thumb turn and a clamping handle. 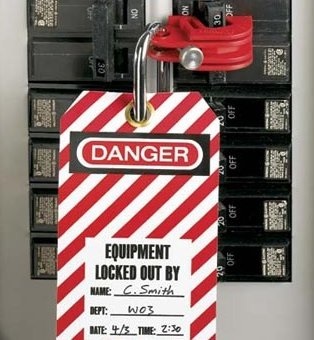 This device effectively locks out circuit breakers, plugs and wall switches. 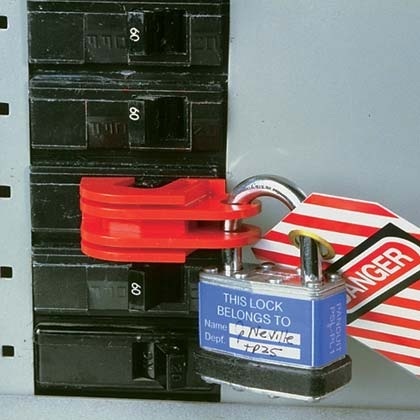 This lockout device combines great strength, a Universal fit and the narrow profile design permits side-by-side breaker lockout. This model fits wide or tall breaker toggles. 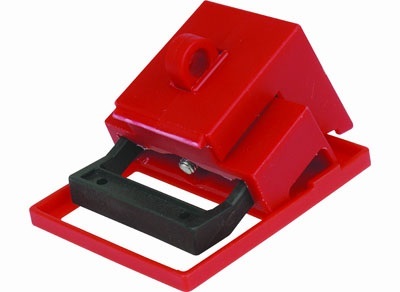 Made from engineering plastic strengthened nylon PA and chrome plated brass screw. sheet makes it more firm. 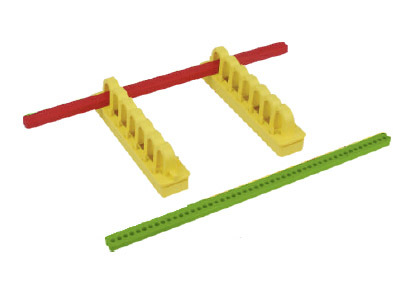 Made from engineering plastic alloy. 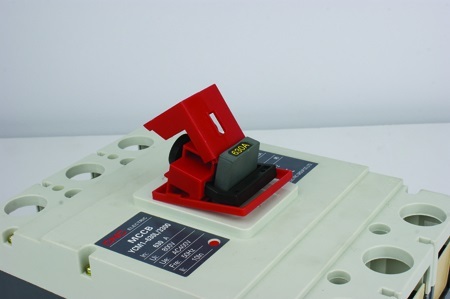 Back self-adhesive track can fix on the distributor forever–clean the surface of the distributor no hole needed. 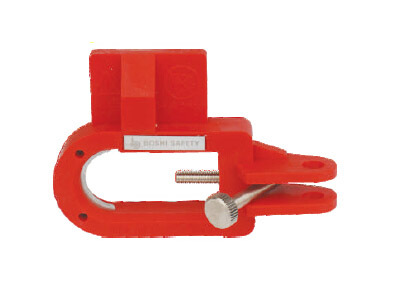 To lock the special large or unique shape switch, the length of the rod is 19cm. Red stop rod mains the switch is in the off state, green stop rod means the switch is in on state. 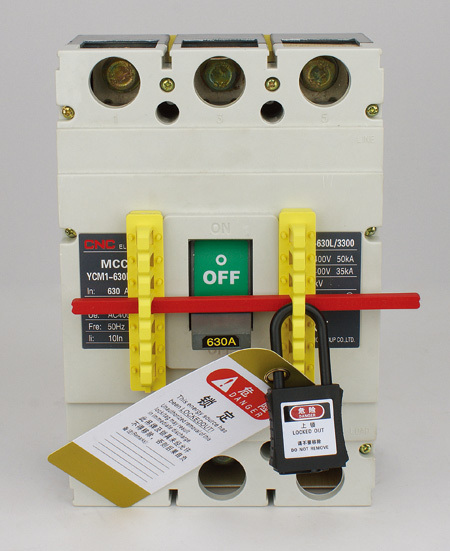 The No-Tool Large Handle Circuit Breaker Lockout Device is used to lock individual large molded-case circuit breakers in the OFF position without locking out an entire panel. 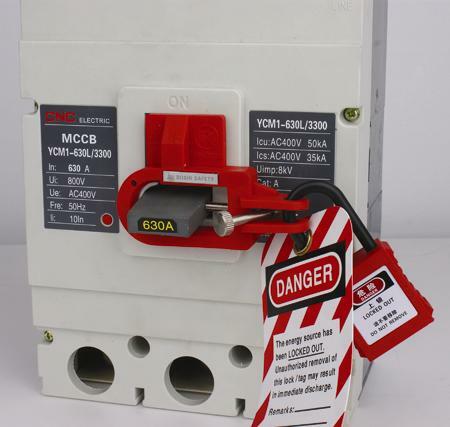 Accommodates circuit breaker handles up to 0.80" (20.3 mm) thick and 3.00" (76.2 mm) wide.